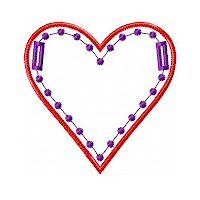 Big Dreams Embroidery: Love Heart Banner ITH Project perfect for your Valentine! 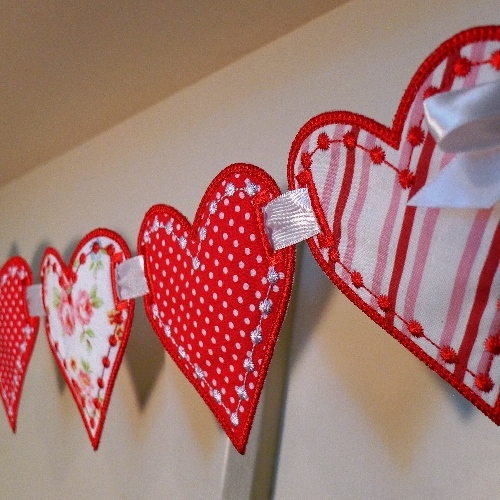 Love Heart Banner ITH Project perfect for your Valentine! 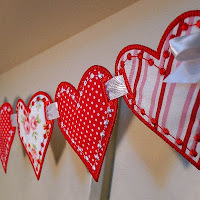 This sweet banner is perfect for Valentine's Day as well as weddings, birthdays, celebrations...or a fun way to coordinate and dress up a babies room. Add letters and numbers from your embroidery machine or your personal files to personalize! 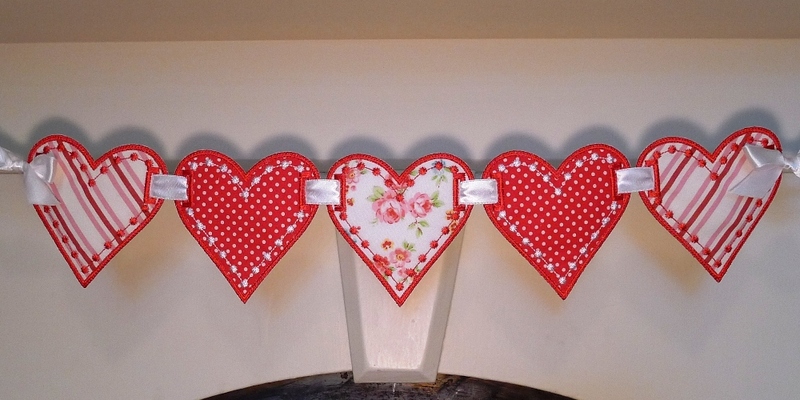 Exact sizes:4x4 hoop - 3.92" x 3.92"
WHAT YOU RECEIVE...- LOVE HEART BANNER ITH in the format of your choice. This banner is next on my list of things to do! Hello Kate, thank you for your nice reaction on my post about the banners you designed. I really like them a lot.